DISCOVER the new TYPE 1 Slim. The original design gets its first case makeover. 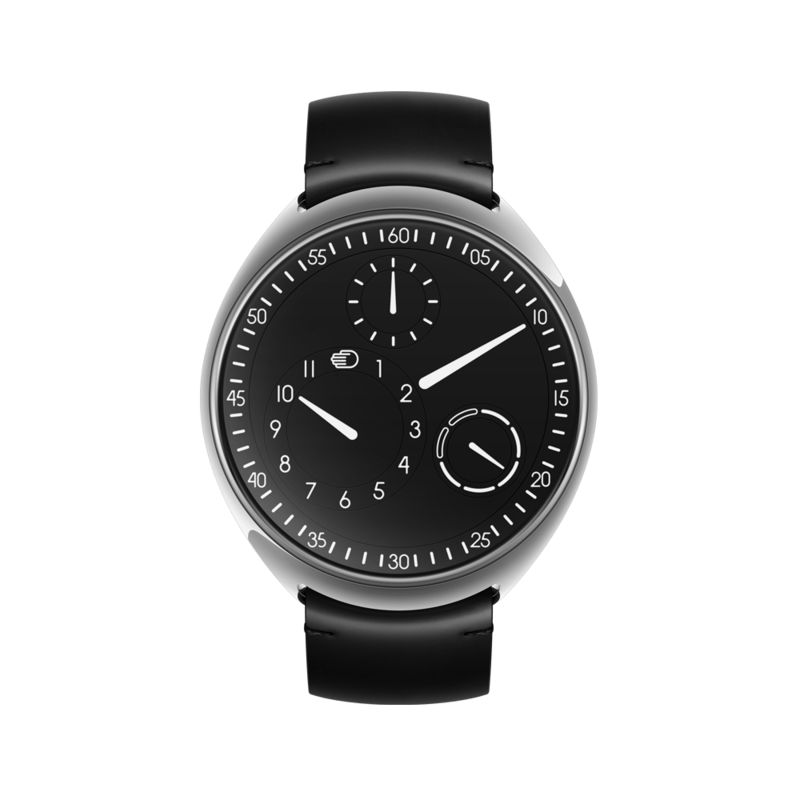 At the heart of a RESSENCE watch is ROCS, or the Ressence Orbital Convex System. Our patented 3 dimensional complication is the result of years of planning, prototyping and pushing boundaries. The purpose is a more efficient way of telling time. Information is displayed on a single surface, much like words on a piece of paper, making for improved readability. The convex discs displaying hours, minutes, seconds and days of the week may be seen as the dial on a traditional watch but are actually the ROCS’s bridges of the TYPE 1 Slim. Following our organic design philosophy, the discs have a 125mm radius sphere shape and require specific know-how and tools to be produced. Those seeking facts might note that each TYPE 1 Slim comprises 212 components, assembled by our dedicated team of master watchmakers. Those seeking feeling will notice the TYPE 1’s visual balance of simplicity and complexity, one that ensures its aesthetic only continues to enrich over the years. The Japanese call this deceptively understated balance SHIBUI. The TYPE 1 Slim is manually set via a lever on its case back. The watch has no crown, the winding and setting mechanism being the case-back itself, for better ergonomics and allowing a left-right fit. We believe that displaying the time is essential to a watch. The readability of the TYPE 1 Slim is therefore as simple and efficient during the day as during the night thanks to extra strong Superluminova. The look of any watch is one draw. But so is the feel of it. We place a premium on this tactile quality. The new case design is not a revolution but rather an evolution. Not only it is slimmer (11mm thick) - compared to the previous generation - but also resolutely more modern with its seemingly integrated strap. It is as satisfying in the hand as it is on the wrist. The patented ROCS 1 is driven by the minute axle of a customized self-winding 2892 base calibre. 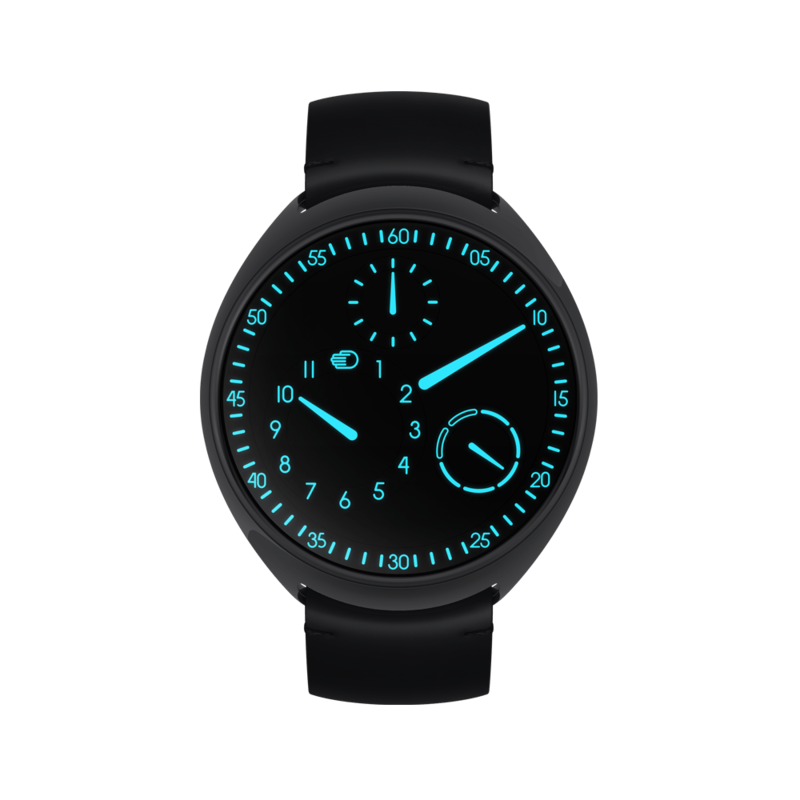 Our "Ressence Orbital Convex System" is a state of the art horological complication module composed of 107 parts including the main and sub discs. The result is a 3 dimensional dial entirely in motion and ever changing.